Is infidelity good or bad for .. The thing that I am most pleased with in the feedback so far is that most people are using words like friendly, kind, or compassionate. One person over email said that the fact that the book emphasises how tough relationships are, and how we all struggle and make mistakes, was refreshing and helpful compared to the usual ‘expert’ stance of self-help books. For me it was important to write something that could be useful and wouldn’t leave people feeling worse than when they started. That was a lot more vital than it being smart, radical, or rigorous (although I hope that it is those things to some extent as well). How difficult it is to care for ourselves and take time for ourselves and how it would be useful to have a whole book on this material (covered in the self chapter). This is something I’m definitely planning, related to my other mindfulness projects. 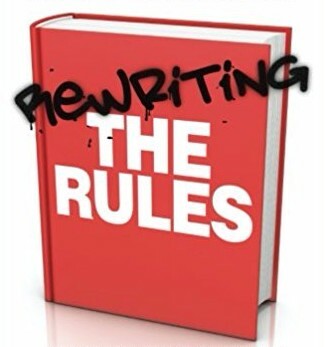 How difficult it can be for people with kids to find the time and energy needed to consider the rules, or their relationships, in this way, and how I don’t really address children or child-care much in the book. This is something I don’t feel qualified to write about in detail, but it would be wonderful if there was a book tackling parenting, and relationships where people have kids, in a similar way (rewriting the rules of deciding whether to have kids, how people go about it, what relationship styles are possible for child-rearing, and parenting, schooling, and child-development, perhaps). As Michael says, not taking into account that many people who get married see the vows as just part of the public ritual. This was a good point and could do with emphasising. It would be interesting to look into both how people do perceive the vows that they explicitly make, and also what implicit assumptions people have about what they are committing to at various stages of relationships and how those do, or don’t, map onto explicit promises. I’d be interested to hear of any research people are aware of in this area. How the book doesn’t deal much with affection or passion. This is something I definitely want to consider further. It would be interesting to write more directly about the different feelings involved in love from a Rewriting the Rules perspective, and also how shifting our perceptions and assumptions about love does, or doesn’t, involve emotional shifts. I’m also very aware of the minority cultural perspective that I’m writing from (albeit that the book is quite critical of mainstream minority culture). I was wary of dropping in ‘other culture’ examples in a tokenistic way, but equally didn’t want to suggest that the culture I was writing from was the only possible way of seeing these things. I’m very interested in reading more intersectional accounts of relationships and books which deal with these topics in a more diverse and global way.